London Marathon might be on everyone’s agenda right now but I’ve got a few more miles than 26.2 on my mind. 158.8 more miles, to be exact. 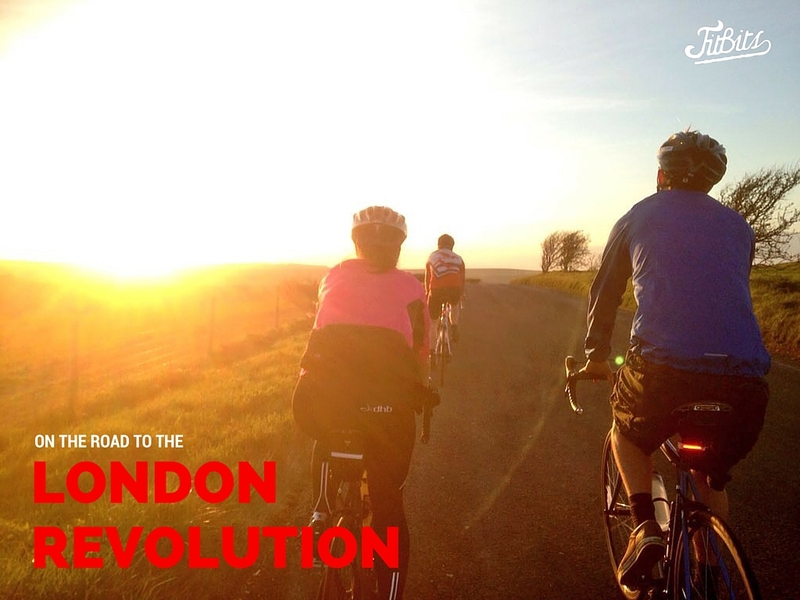 The London Revolution is the UK’s largest multi-day sportive, a 185 mile loop around the capital, taking place 14/15 May. Promising to be more than just another sportive, it’s as much about competition as it is community, apparently catering for cyclists of all abilities – from the leg-shaving racers to the endorphin-hunting bike fiends like me. The thing that got me most excited about this event isn’t the cycling, but the camping. Anyone who knows me will know I’m a sucker for going back to basics, surrendering all mod cons (bar my iPhone for the camera) and immersing myself in the great outdoors. 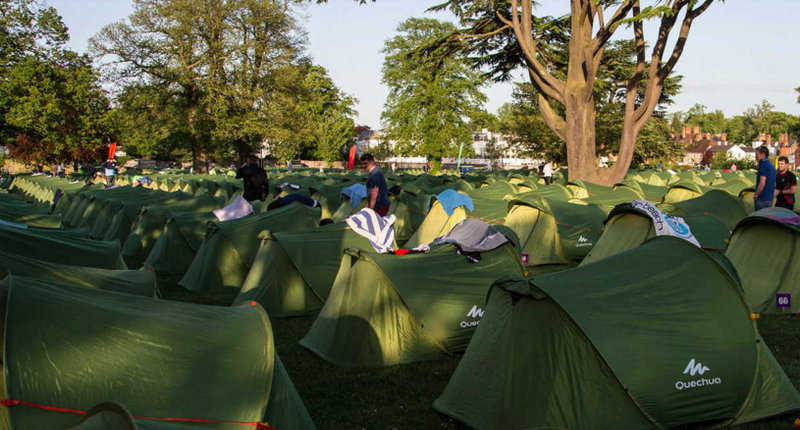 After 100 miles of hard riding on the first day, we’ll return to a fully functioning basecamp with complete with a two-course meal, hot showers, overnight bike security and access to a cool chill out area. A sea of tents pre-loaded with sleeping bags will be ready and waiting for the throng of tired cyclists to rest their achey legs. Then on the Sunday we’ll get up and do it all again, for 85 miles. The fully signposted route starts at Lee Valley White Water Centre (flashback) and takes in the city via Tower Bridge and HMS Belfast, before snaking out to the beasty climbs and descents of the North Downs and beyond. Chaperone riders and mechanical support is on hand, and there are pit stops with food, drink and toilets. Basically it’s one big JOLLY. And I’m well excited. If a little bit unprepared. Organisers very helpfully provided a 16-week training plan a while ago but I had my head in the boxing and then had to take a month off all training. That means on paper I’m pretty behind where I need to be right now, but as I cycle to work every day and have been getting out for hilly 30 milers on the road or long, slow chugs across the Downs on the weekends I’m hoping the quads will know what to do. We’ve done a couple of duathlons and triathlons but this will be our first standalone cycling event, and probably the very first event that me and Chris will actually complete together. We’ve done lots of races at the same time, but Mr Speedypants tends to leave me for dust so it’ll be nice to experience the whole ride together. We won’t be doing it on the hardtails though! 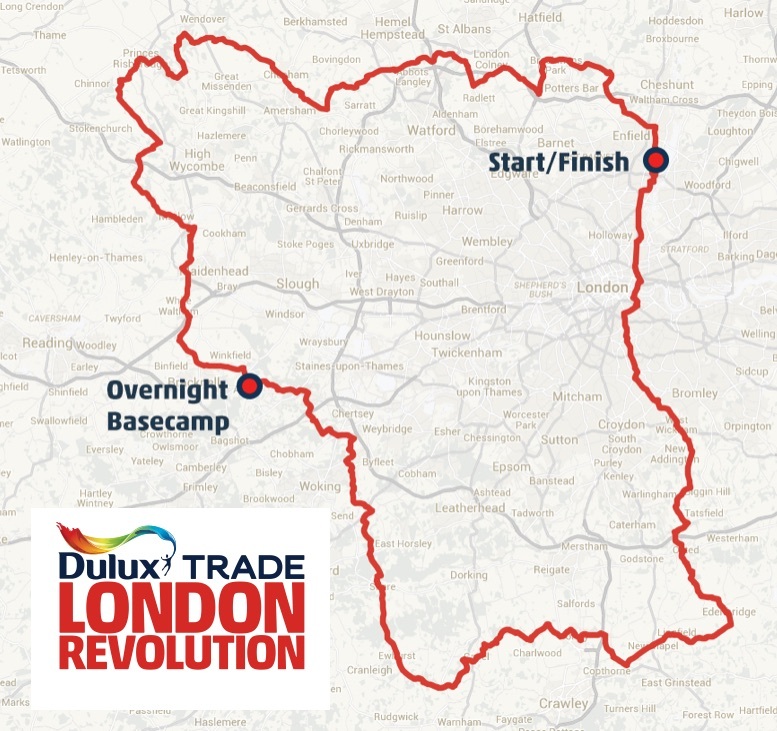 I just hope we can actually do the distance – I also got into Ride London on the ballot and this is making that seem like a training ride. We could’ve of course signed up to just one of the days, but then we would only get half the experience, and as you might’ve guessed, I’m not really one for doing things by halves. With just over three weeks to go, I can’t do anything about the time lost after the boxing so just gonna have to get on with it. Stay tuned for some wheely adventures! *Disclaimer: Two places for the London Revolution were provided to me and Chris. All undertraining and impending bum-ache my own. Any tips for an optimistic (and quite possibly naive) multi-day sportive virgin? Previous Post What's important to you?